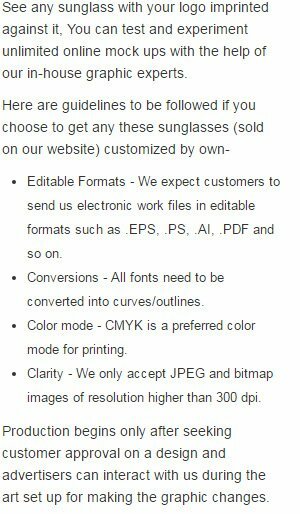 Custom classic sunglasses – pink make great summer gift for advertisers eyeing women customers as well as fashion conscious youngsters. Its trapezoidal & dark colored (UV400) lenses, supported by dark frames and pink colored arms – make it entirely different from other summer sunglasses. Promotional classic sunglasses – pink are largely ordered by fashion houses, beauty salons, cosmetic manufacturers, ladies support groups – and others to market their business. Personalized classic sunglasses – pink will be retained until next season because it’s cool, fashionable, and transfixes the personality of a person wearing it. This sunglass can be handed over during some ladies functions, fancy dress competitions, film shows and theatricals – because women love to be serenaded with small gifts during their outings. Imprint Area: 1 1/2" X 3/8"